Walpole is a fairly large village on the outskirts of Halesworth, with a pretty green, and what seems to be a life of its own. 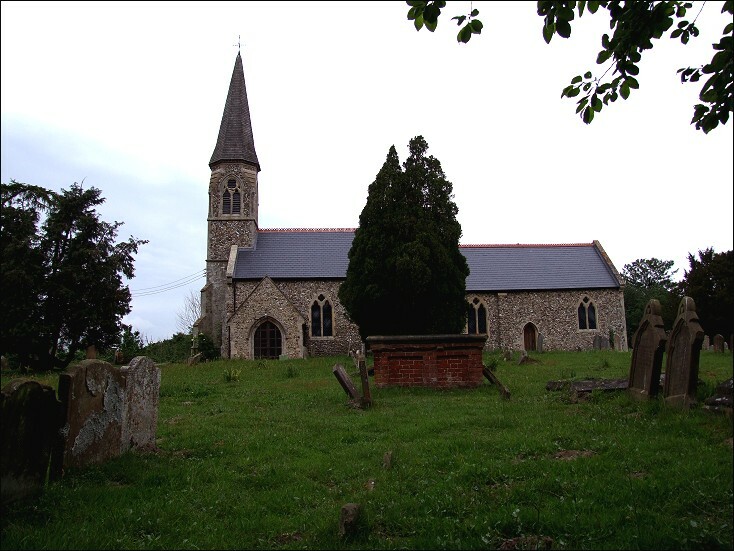 I was disappointed to find that the pub had closed since my last visit, but St Mary is still set back from the road in a large graveyard up the hill on the way to Halesworth. At first sight, it appears to be a fairly run-of-the-mill Victorian village church, but a fine Norman doorway has been preserved within the south porch. 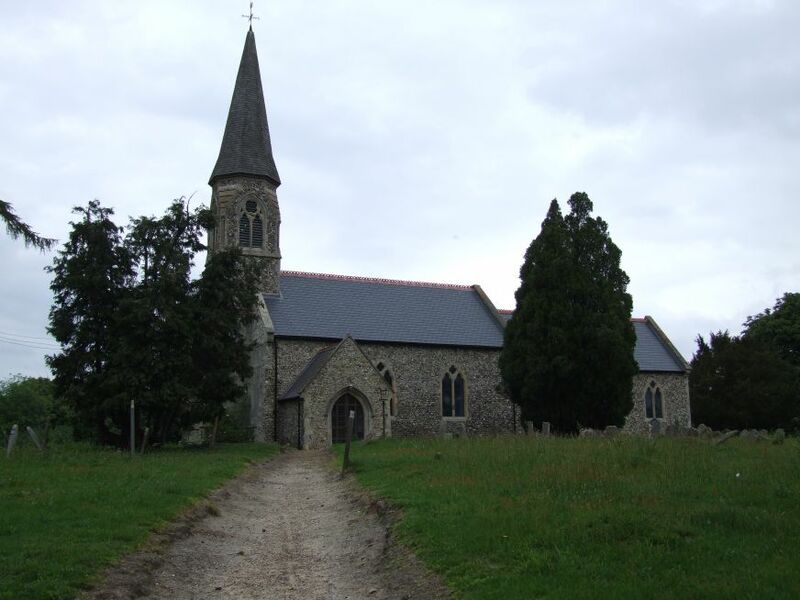 Otherwise, what you see today is largely the work of the 19th century architect HM Eyton. To be honest, It is easy to moan about churches like this. But here it is, at the heart of its village, open to visitors, reasonably friendly inside - honestly, it is hard to criticize. From the outside, it puts me in mind of Catholic churches in northern France, rebuilt in this style after the destruction of the First World War. This design is also familiar from a thousand municipal cemetery chapels, with its funny little spire and restrained mock-decorated windows. There are some medieval survivals here. But not many. The base of the tower was retained, and footings of the nave walls suggest it was originally Saxon. The Norman doorway is remarkably well-preserved, suggesting the previous porch had survived for many centuries. It has had an electric light fitting driven through it, presumably by someone who thought it was a good idea. The rainclouds were beginning to descend, and so I stepped hurriedly inside. I was struck by what a lively place it felt. The windows that let into the base of the tower have been filled with children's artwork. 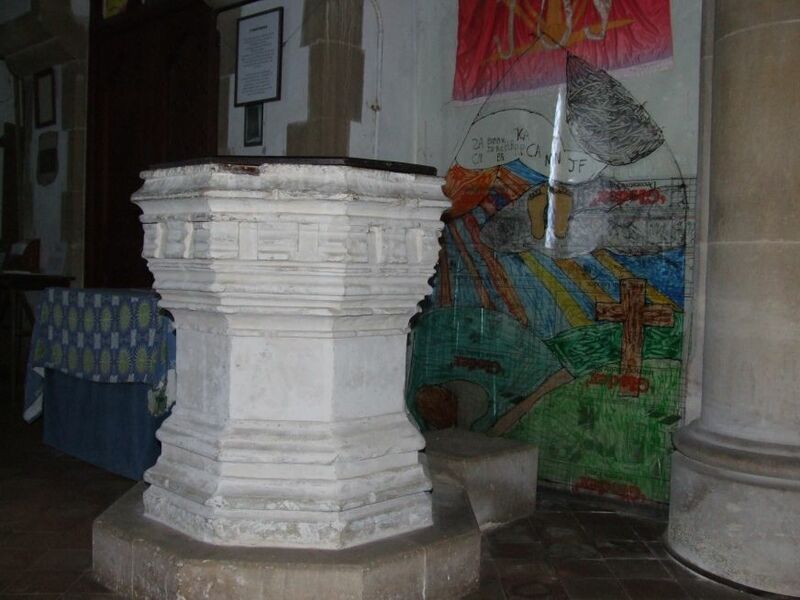 Below, there is an odd medieval font; but this is not originally from this church. It is from St Andrew, in the centre of Norwich, and is much more attractive than the vulgar 19th century one that replaced it there. When I came here in 1999, I had been interested to see a reminder that the liturgical movement of the 19th century was not just about spoiling the fun of future church historians, but also set out to make churches more democratic. 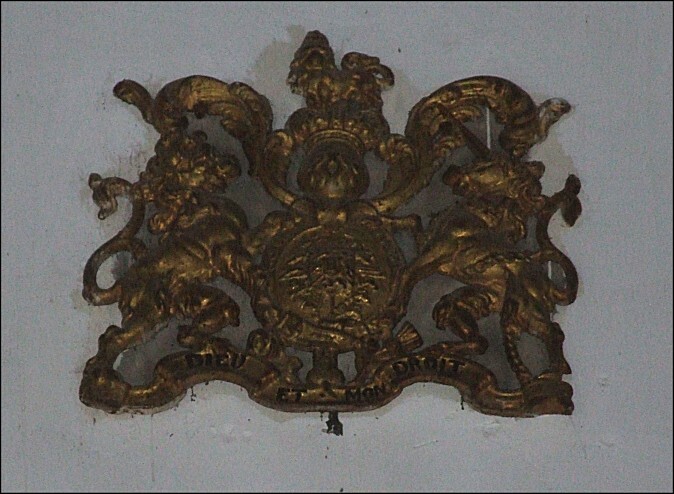 This was the sign put up by the Incorporated Society for Buildings and Churches. Their £30 in 1877 helped do away with pew rents and reserved family pews. Only a couple of these signs survive in Suffolk today, and I was a little disconcerted to find that the Walpole sign was now nowhere to be found. 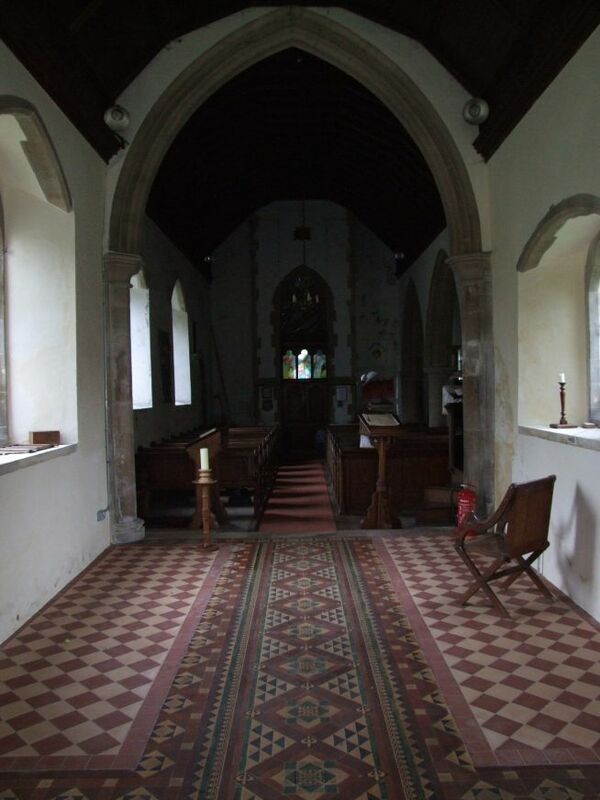 They seemed to have been busy generally here in the last decade, and one of the most striking aspects of the interior was that the long chancel had been cleared of all its furnishings, exposing a fine Victorian tiled floor. 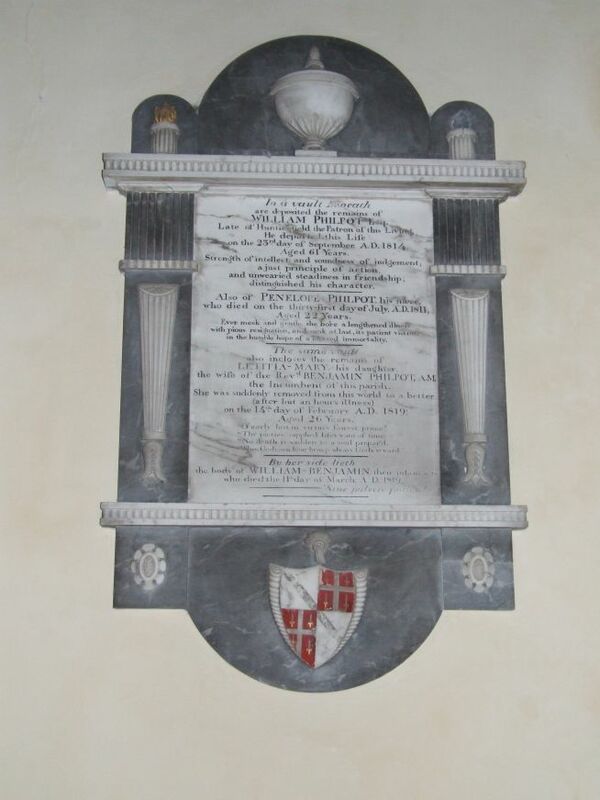 This is lovely, and I did wonder if it was a permanent arrangement, or to do with repairs to the chancel walls. Whatever, modern chairs would look much better in that space than clumpy old Victorian pews. 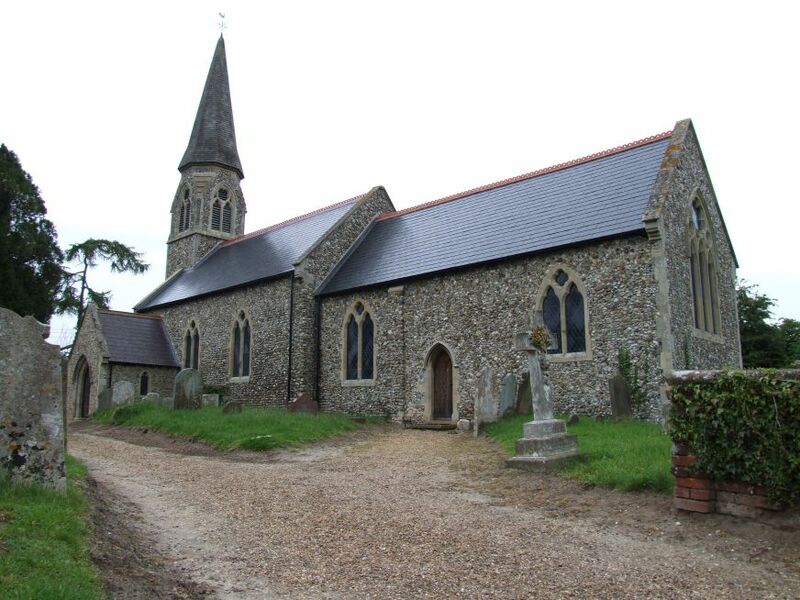 The village of Walpole is famously a mecca for church-crawlers, but they are usually on their way to visit Walpole Old Chapel up the hill, rather than the homely charms of St Mary. I was headed there next, as I understood it was open on Saturday afternoons, and I hadn't seen inside since recording a programme about it for BBC Radio Suffolk a year or so previously. I came out of St Mary into the rain. 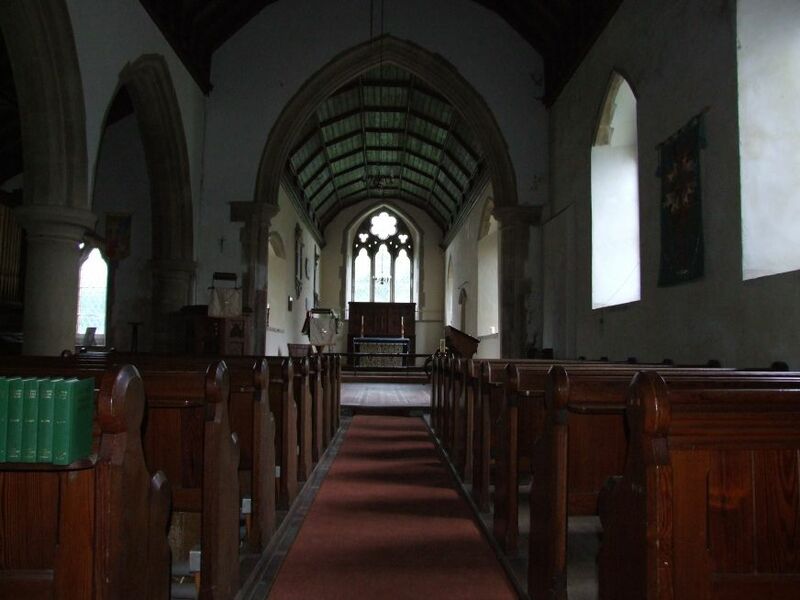 It was that horrible seeping drizzle, and so I sped as fast as I could up to the Old Chapel. I got there to find that it didn't open until 2pm. There was no shelter, and waiting an hour in the rain wasn't really an option. It was too wet to cycle to Huntingfield and visit the angels, so I hurried back to Halesworth and took shelter in the Angel Hotel instead.